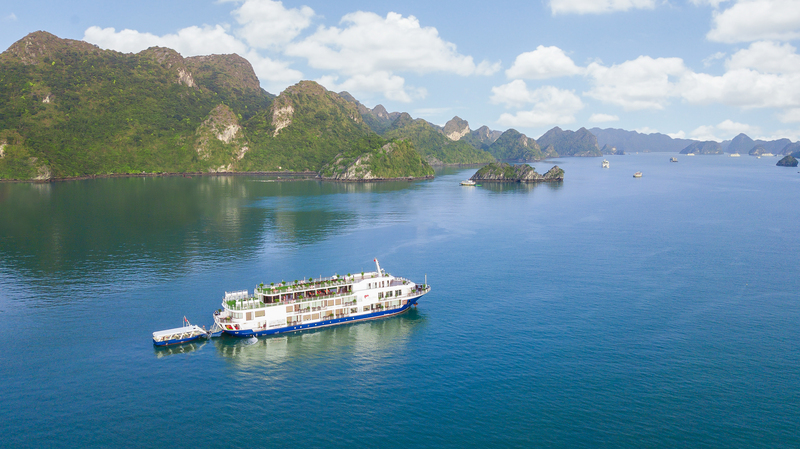 Are you a Halong Bay lover?Have you ever wonder how to get to Halong Bay to have a memorable experience on Halong Bay Cruise? 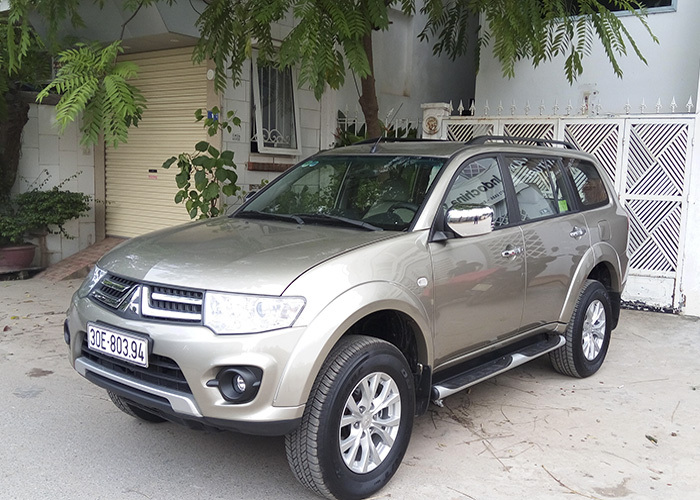 Or are you afraid of not having much time for destination transfer in your tight schedule in Vietnam tours? 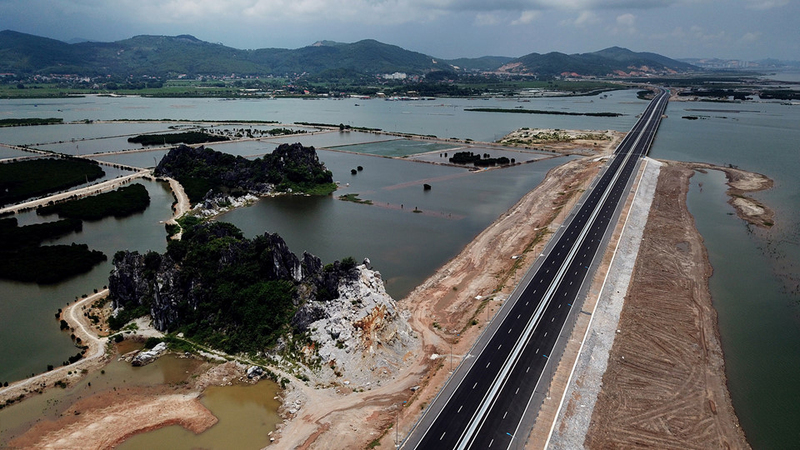 The opening to traffic of Halong – Haiphong Expressway and Bach Dang Bridge is definitely good news. Regarding this, from Sep 2018, it takes you only 1.5 hours to Halong Bay from Hanoi instead of 3.5 hours as usual. 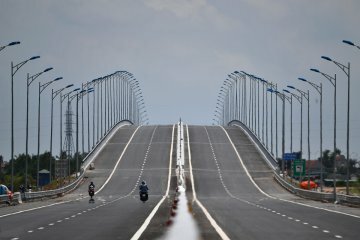 On Sep 1st, 2018, the Halong – Haiphong Expressway and Bach Dang Bridge project connecting 2 provinces – Hai Phong and Quang Ninh was officially put into operation. The bridge is designed with 4 lanes, 5.4 kilometers in length, and 25 meters in width. Its 3 H-shaped towers symbolize the close association of 3 cities – Hanoi, Hai Phong, and Halong. The bridge is proudly said to be the first cable-stayed designed and constructed in Vietnam. 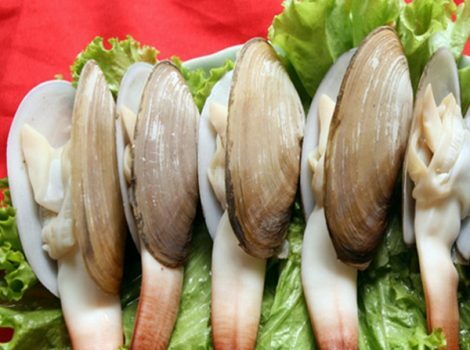 It will play an important role in the economic development and tourism potential in Northeast Vietnam. 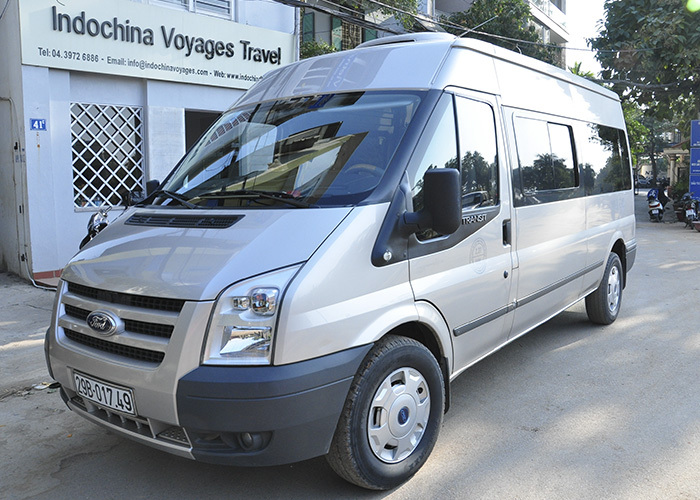 There are so many options of transfer vehicles to Halong Bay. The shuttle bus is the most popular one due to its saving cost. 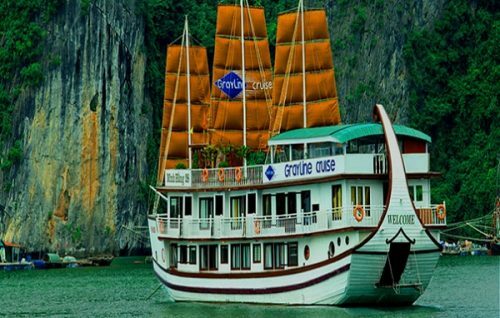 Most of Halong bay cruise companies offer the shuttle bus for sharing with low price or even for free. They will pick you up from your hotel in the Old Quarter in the time range. However, if you are a kind of person who likes privacy, you are recommended to get the private car. It is because there is no much difference in the cost of the private car for a group of 4. Moreover, it is more flexible in pick-up time and you can ask the driver to stop anywhere for photo shooting. 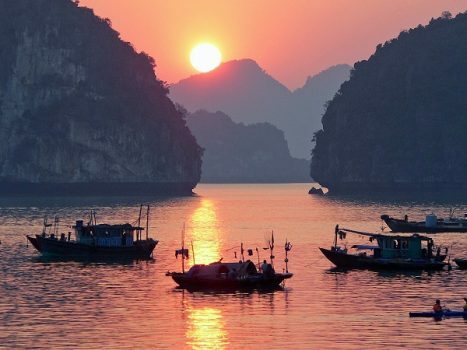 Likewise, you might catch a glimpse of salt marshes and immense lagoon creating beautiful scenery along Halong – Haiphong Expressway and Bach Dang Bridge. The new highway through Hai Phong province makes it easier for you to reach the new route of Halong Bay, which is Lan Ha bay. It is said to be ‘a better version’ or an extension of Halong bay after all, in spite of belonging to the different province. It is less touristic with magnificent views of white beaches, colorful corals, limestone caves, etc. Also, there are multiple beach activities such as kayaking, swimming, mountain climbing and visiting caves and fishing villages for you to enjoy. The Halong – Haiphong Expressway and Bach Dang Bridge definitely facilitate the journey from Hanoi to Halong bay. Contact your travel consultant to plan your North Vietnam tours in order to experience everything by yourself at once.